Fantasy football drafts can go both ways: sometimes you lock down a player certain to amass big points every week, sometimes you're stuck with a guy whose most thrilling performance last year involved doing the Cha Cha. 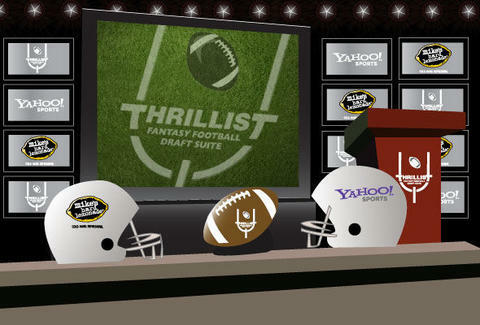 Either way, make sure you hold your draft in championship style: enter to win a slot for your league in the Thrillist Ultimate Draft Suite, brought to you by Yahoo! and mike's hard lemonade®. Winning leagues will be chosen randomly, but feel free to believe it was because of the cleverness and originality of your name (here's to you, The Orton's Fishermen). For your shot, just enter at our sweepstakes page-- tell your friends to enter too and, if you win, there's no telling how many points you'll amass.